Please submit student course evaluation! 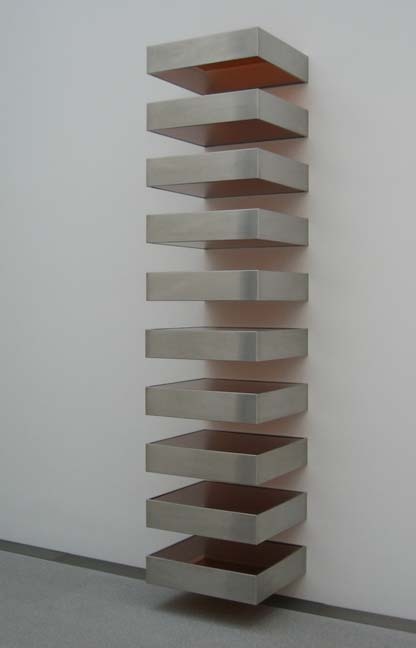 Douglas Huebler, Variable Piece #44, 1971. 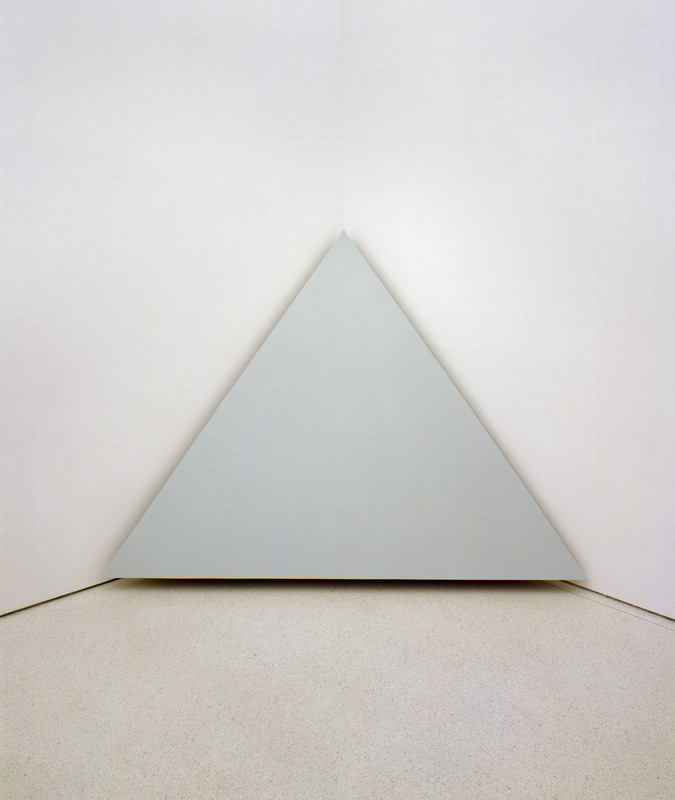 Conceptualism = holds that the idea is the work of art. Any painting, sculpture, drawing, print, photograph or building created in response to that idea is simply a piece of documentation, a record of aesthetic expression as opposed to aesthettic espression itself. Plato's concept of "The Forms"
How do we know what is real? 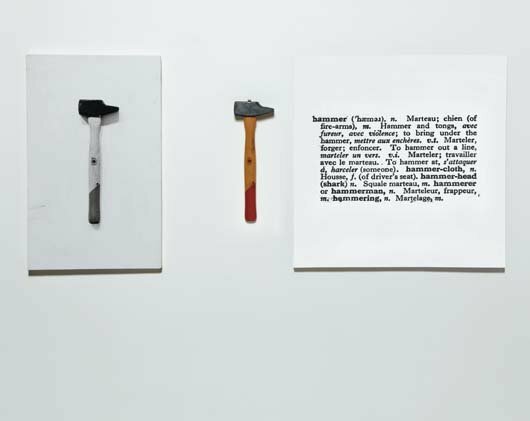 Joseph Kosuth, One and Three Hammers, 1965. 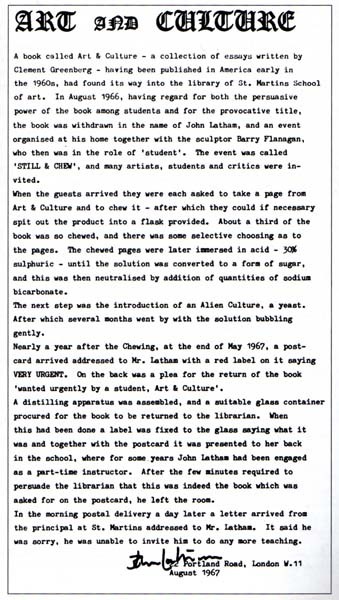 John Latham, Text from Art & Culture, 1966. 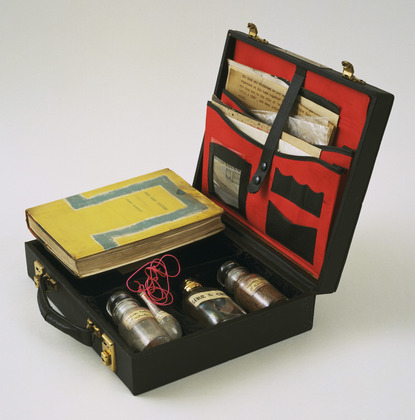 John Latham, Art & Culture, 1966. 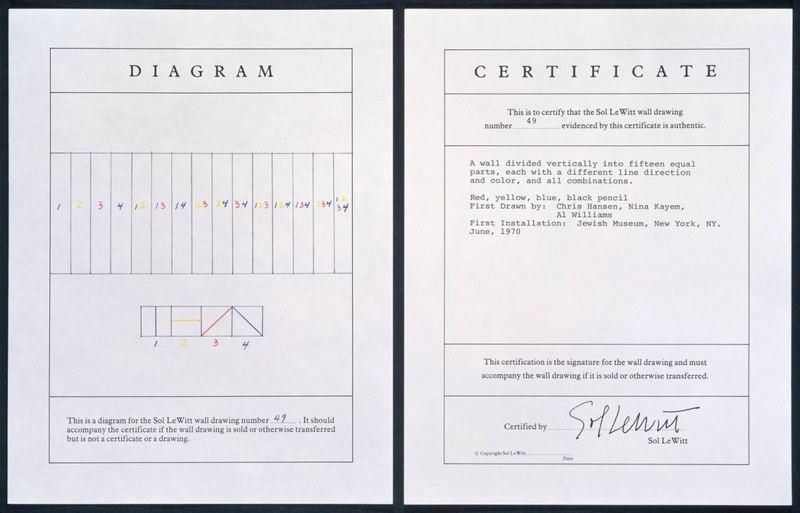 "LeWitt challenged some very fundamental beliefs about art, including the authority of the artist in the production of a work. 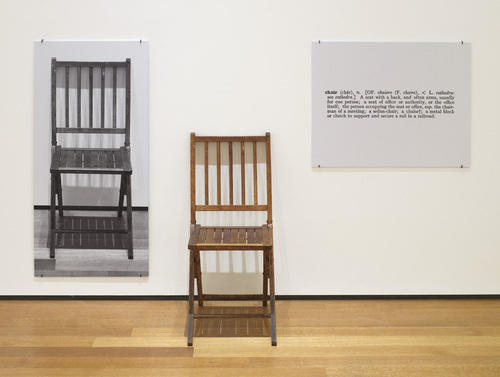 His emphasis is most often on process and materials (or the lack thereof in the case of the latter) rather than on imbuing a work with a specific message or narrative. 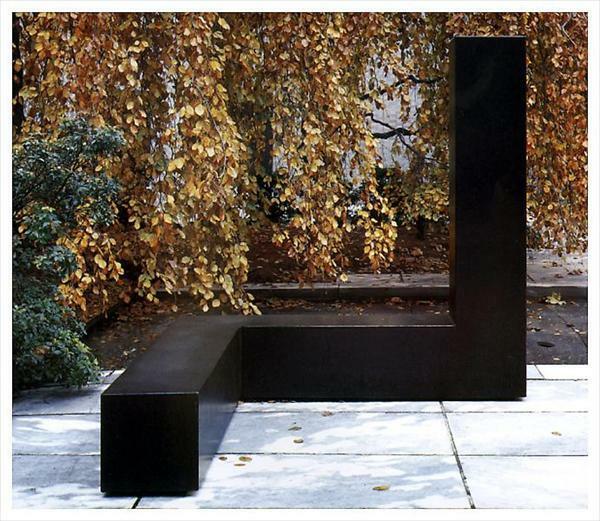 Art, for LeWitt, could exist for its own sake. Meaning was not a requirement." 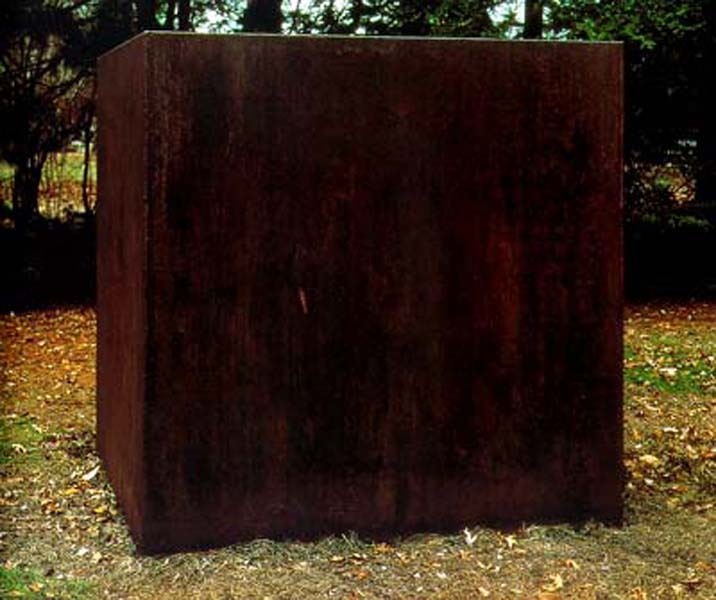 Sol Lewitt, Cube Containing Object of Significance But Very Little Value, 1968. 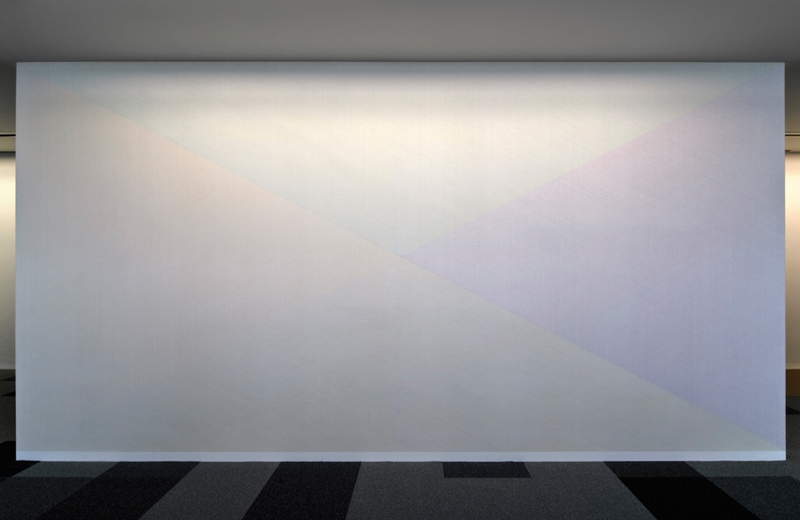 Sol Lewitt, Wall Drawing #49, 1970. 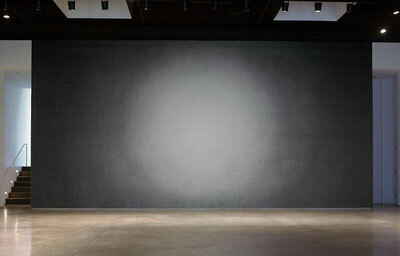 Sol Lewitt, Wall Drawing #41, 1970. 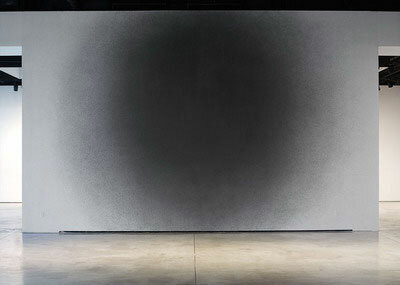 Sol LeWitt, Wall Drawing #1166 Light to dark (scribbles) and #1167 Dark to Light (scribbles), July 2005. 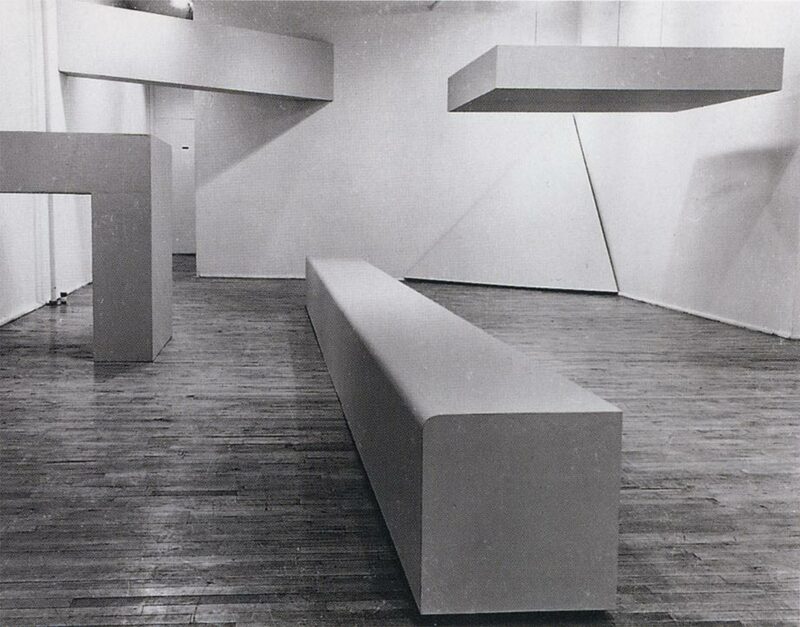 Robert Morris, Plywood Show, 1964 at the Green Gallery, NY. 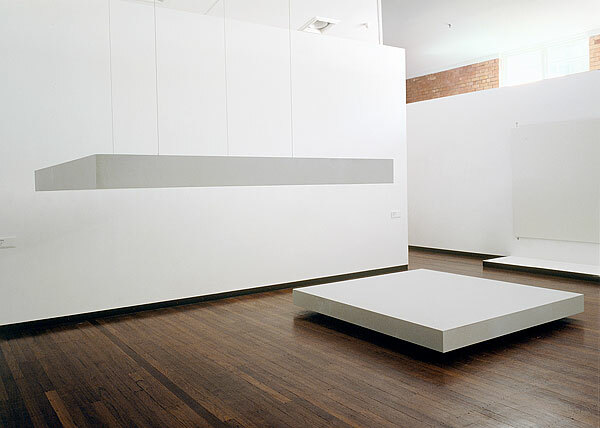 Robert Morris, Slab, 1973 reconstruction of work shown in 1962.
his theater is one of negation: negation of the avant-gardist concept of originality, negation of logic and reason, negation of the desire to assign uniform cultural meanings to diverse phenomena; negation of a worldview that distrusts the unfamiliar and the unconventional." 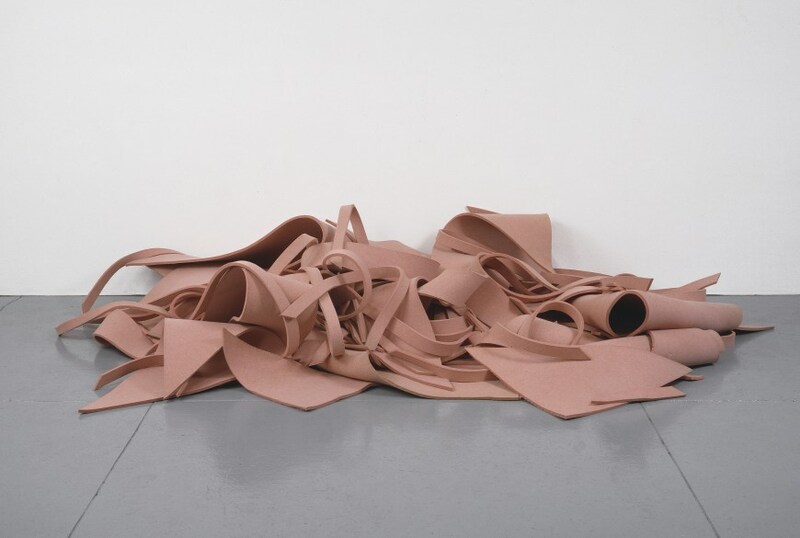 Robert Morris, Untitled (Pink Felt), 1964. 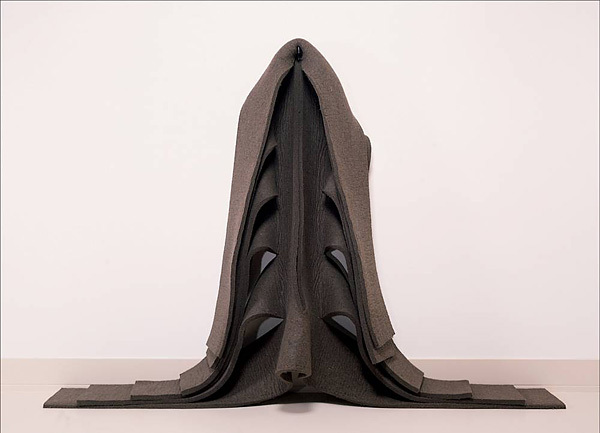 Felt pieces of various sizes, dimensions variable. 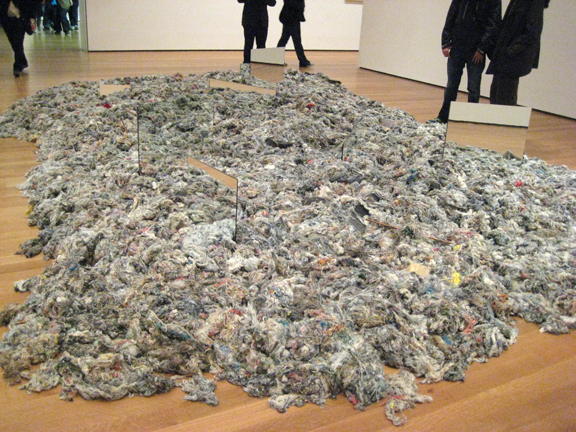 Extends Lucy Lippard's earlier recognition of a growing tendency toward "the dematerialization of the art object"
Robert Morris, Untitled, 1970. 72 x 144 x 18 inches. "Why didn't you make it larger so that it would loom over the observer?" "I was not making a monument." "Then why didn't you make it smaller so that the observer could see over the top?" "I was not making an object." 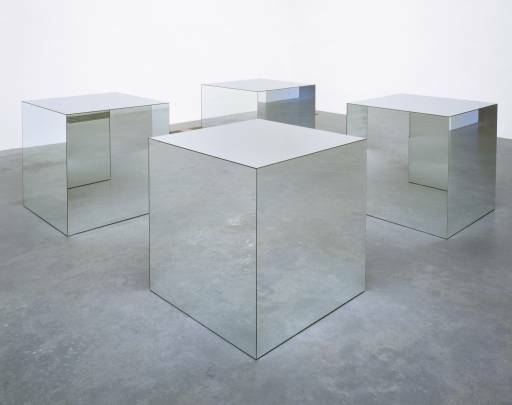 Tony Smith, Die, 1962. 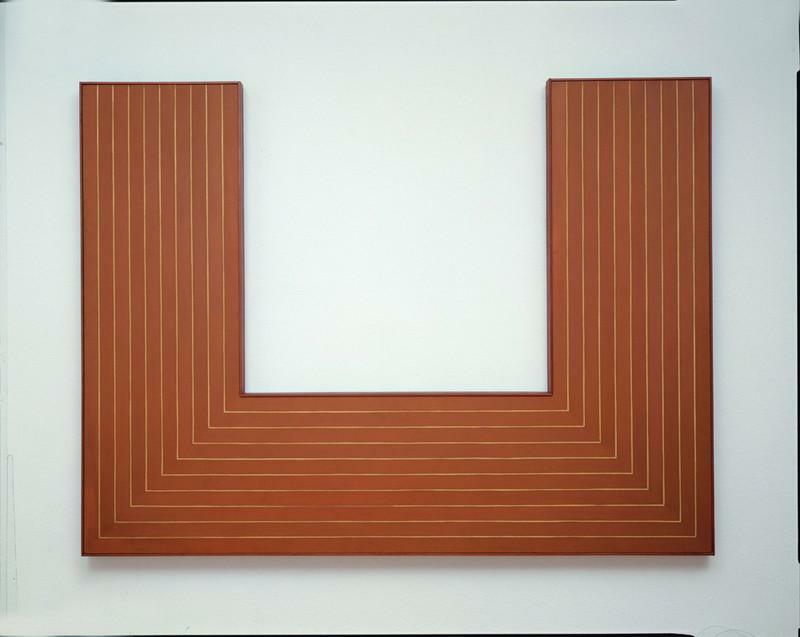 6 X 6 X 6 ft.
Frank Stella, Lake City, 1961. 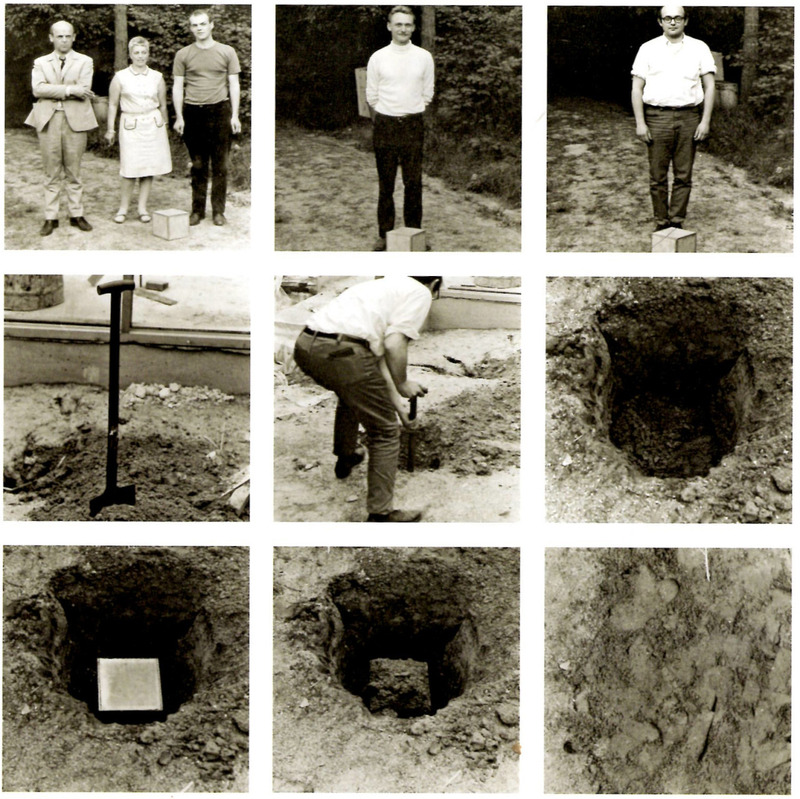 1967 Greenberg attacks Minimal sculpture in "Recentness of Sculpture"
In Art and Objecthood Michael Fried admonished the Minimalists for going too far, making objects so literal they directed the viewer to external relationships, which Fried called "theatrical"
"When I was teaching at Cooper Union in the first year or two of the fifites, someone told me how I could get onto the unfinished New Jersey Turnpike. I took three students and drove from somewhere in the Meadows to New Brunswick. It was a dark night and there were no lights or shoulder markers, lines, railings or anything at all except the dark pavement moving through the landscape of the flats, rimmed by hills in the distance, but punctuated by stacks towers, fumes, and colored lights. This drive was a revealing experience. The road and much of the landscape was artificial, and yet it couldn’t be called a work of art. On the other hand, it did something for me that art had never done. 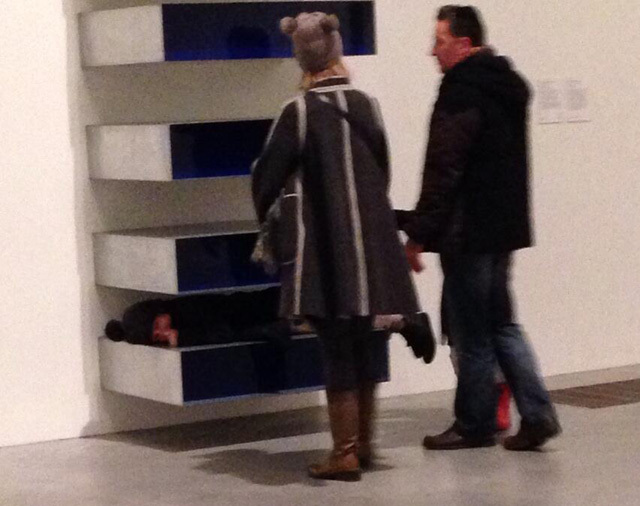 At first I didn’t know what it was, but its effect was to liberate me from many of the views I had had about art. It seemed that there had been a reality there that had not had any expression in art. The experience of the road was something mapped out but not socially recognized. I thought to myself, it ought to be clear that’s the end of art. Most painting looks pretty pictorial after that. There is no way you can frame it, you just have to experience it." Tony Smith, Free Ride, 1962.